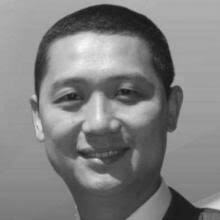 Marcus Tam has a diverse background and experience in a wide range of business segments from high tech to real estate investing to education and food service. After a successful 15-year career in a Fortune-100 company, Marcus has been the co-founder and Chief Operating Officer of the Idaho Chinese Cultural and Business Center, LLC with a focus in bridging Idaho and overseas Chinese businesses, establishing a global and local networking opportunities for American and Chinese companies within the US and China. He was also the founding board member of the Idaho Chinese Organization, a non- profit organization with the mission to serve the community and to promote Chinese culture. Raised and educated in Hong Kong, Marcus came to the United States to pursue higher education in his early 20’s. He received his Bachelors Degree in Computer Science and Mathematics from Boise State University. Armed with over 10 years of experience as a private investor in real estate, Marcus became a licensed REALTOR® in the State of Idaho in 2006 and has quickly become the trusted source amongst the local Chinese community as well as overseas investors. He has been actively serving the community and helping Asian families in homeownership and real estate investment. His clients come from China, Taiwan, Japan, Vietnam, Thailand, Singapore and Indonesia. He is well-regarded for his can-do attitude balanced with cautious investing strategies and well rounded personality with integrity, sincerity and honesty. It is a natural extension to Marcus’s community involvement by joining AREAA and starting a local chapter of AREAA in Idaho. He hopes to educate and promote homeownership by sponsoring various activities for the Asian American community, strengthening the image of Asian American real estate professionals, and promoting the business of real estate through cooperation with large corporations and SMB business owners. What if there was a brokerage that threw away the useless and outdated practices of the traditional real estate brokerage model? What if we built our company based only on what works? Boise Premier would be more than a real estate company, but rather, a marketing company servicing the real estate industry.